I’m Always Learning About My Own Boy | Simple. I Just Do. ← How Do You Know? At the end of each day, I head to Grammy’s to pick up The Boy. This is usually a bit of a process involving agreeing on a number of minutes needed before getting ready to go, setting the timer, and then the addition of a couple of extra minutes, because the amount of time that has passed could not possibly be the amount of time we had agreed upon… When all is said and done, we’re usually on our way in about a half hour, and it takes about 15 minutes to get home. During this time, I ask about his day, and if I’m lucky, I’ll get some little snippets of information. We joke and act silly, and generally try to make each other laugh. Part of the reason The Boy is so relaxed is because he doesn’t have to worry about eye contact, I think. Regardless, it’s the one time in the day where we have the most connection. I have a pretty good sense of relative pitch, after almost 20 years doing the band gig. I was fairly certain that I was at least close to a C when I sang. 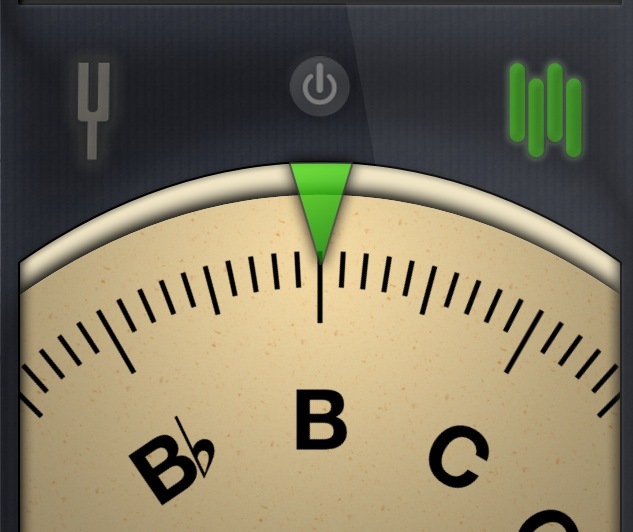 Then I remembered I have a tuning app on my phone. I pulled it out, and sure enough, I was wrong. Then I turned it around on him – if he knew it was wrong, could he sing a pitch if I asked him? “Sing an Eb,” I told him. He did, in his puberty-addled voice, and I put the phone to my ear and checked… It was right. “G,” I told him, and he did it. I tested him several times, and he was able to pick these notes right out of the air! “Why are you looking at me like that?” he finally asked. “Because you are blowing my mind!” I said. When we got home, we sat down to the piano and repeated the process. As a result, I am fairly certain The Boy has perfect pitch, which is an extremely rare auditory skill. I had always known he had a great sense of music, and a damn-good sense of relative pitch. I even wondered at a few points over the years if it was something more, but never until today have I been this close to certain. It may amount to nothing. It may not be something of which he ever wants to take advantage. But if he does, I want to nurture it if I can, even more than I have his general music ability. I’m amazed at the depth of The Boy’s talents, and I’m amazed at how much I am still learning about him. He’s simply amazing.